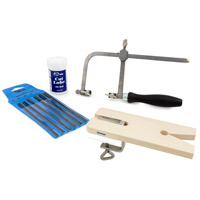 Perfect for jewelry making, watch making and other crafts these durable saw frames and saw blades from Relentless are strong and long-lasting. These Swiss made saw blades are made from the highest quality steel. The result is a blade with flexibility and an unparalleled cutting edge for use with gold, silver and other metals. 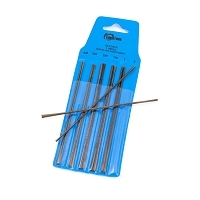 These blades are perfect for any craft or hobby use including wax work, metal fabrication and more.